The connection to Sebastian, the “Butler” in Black Butler is immediate; he’s gorgeous and obsesses about etiquette and taking care of the young Master Ciel who comes off as a whiny brat in the first few episodes. You find out that Ciel signed a contract with Sebastian to be his Demon Butler and help him avenge the person(s) responsible for the death of his parents; the leaders of the Phantomhive family. It becomes apparent early on that Ciel has a perpetual x on his back; not only because the Phantomhives serve as the Queen’s Watchdog but because of his connection to Sebastian. Season one serves as a beautiful introduction to the series and ended in a crazy cliff hanger. I loved the building of the relationship between Ciel and Sebastian – they way they encounter other Butler/Master pairings and supernatural beings as well as investigate real life happenings for the Queen. Think of all the shenanigans that could happen to a 13 year old boy with a Demon Butler that investigates the happenings of the underworld for the Queen? Also, do I even need to mention that the Queen herself became a major plot point toward the end of the season? I feel like you already knew that. The supporting cast is also pretty impressive; Sebastian has a staff of very capable defenders as well as domestic support. It was very cool to see development for the minor characters toward the middle of the season. Thankfully Black Butler has 3 completed Seasons so there’s no need to be afraid to binge watch Season 1 to see how you like it. Seasons are relatively long; Season 1 has 25 episodes. 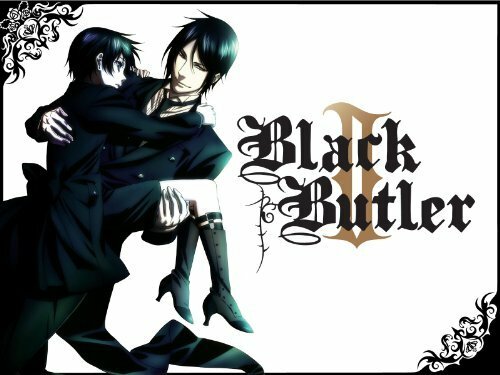 As of fall 2014, there is scheduled to be a remake of the Black Butler Series. Why? Because they’ll do whatever they want, that’s why. Black Butler can be found on Crunchyroll, Netflix, Hulu and Funimation for streaming. Keep thinking he has your back. He doesn’t.